Nanu Ki Jaanu Review: Rarely dares to be smart, and hence misses the mark! With Nanu Ki Jaanu, Abhay Deol returns to cinemas after a gap of almost two years. Read our in-depth review before deciding whether or not you want to watch this film. 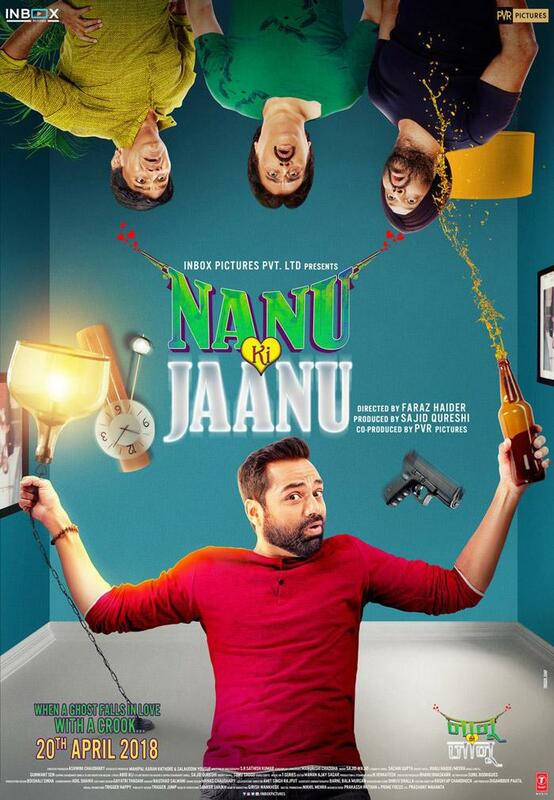 Nanu (Abhay Deol) is a land mafia who illegally grabs people's property with the help of his friends. But his life witnesses a 360 degree change after he takes an injured girl (Patralekha) to hospital. Some unusually inexplicable things start happening with him and soon he realizes that he is not the only one living in his flat. There is an uninvited guest also. Abhay Deol, who was last seen in Happy Bhag Jayegi, headlines Nanu Ki Jaanu. He plays Nanu who has a change of heart after an incident. The character suits the actor and he plays it with full honesty. Some funny one liners and well-conceived scenes help him stand out. But having said that, Deol could have done much better as he really is a brilliant performer. There are some scenes where he looks quite weary, and hence out of his character. Talking about Patralekhaa, the leading lady of the movie, she gets very limited screen time despite the fact that the whole film revolves around her character. We had a lot more expectations which remain unfulfilled as the actress does not get enough time to showcase her talent. Actors in the supporting cast are good. Faraz Haider, who last directed war-comedy film War Chod Na Yaar, tries his best to make a fun film. However, his most important weapon – the story – is unsharpened and that is where the whole game is spoilt. The film has been written by Manu Rishi, the same talented actor-writer who had the audience rolling on the floor laughing with his quirky dialogues in Oye Lucky! Lucky Oye! But he does not succeed in creating the same magic here in Nanu Ki Jaanu. Though dialogues are written intelligently, the story does not leave a lasting impression. Haider also fails to take best out of his actors. The film is stretched in the second half. Ticket prices are soaring high and people have got so many entertainment platforms at their disposal that they do not really need to go to cinemas in scorching heat to watch a film, until the filmmaker offers them something fresh and engrossing. Nanu Ki Jaanu promises something good but does not deliver it wholly. The film is marred by execution. Editing is also shoddy at some places. Cinematography is good. So the music of Nanu Ki Jaanu has been scored by a long list of composers, including Meet Bros, Jeet Ganguli, Babli Haque, Gunwant Sen, Meera Sarkar, Sajid-Wajid and Sachin Gupta and yet you will not find a single track that really elevates your mood. The film has an extremely average soundtrack, which is quite disappointing to say the least. If you have developed some sort of interest in horror-comedy films of late and can enjoy anything in the name of the genre, then fine, you can try Nanu Ki Jaanu once. If not, then skip it. Check out the latest poster of Abhay Deol and Patralekhaa starrer Nanu Ki Jaanu! Complete information of Oye Lucky! Lucky Oye!